A barrel roofed structure makes it easier to achieve planning permission for a 2 storey building that is fitting in a rural landscape. A barrel roofed structure gives a spacious upper floor rooms without resulting in an overall increase in height. 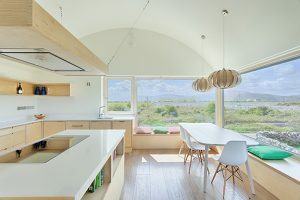 The kitchen and living room now have fantastic views of the Burren and Galway Bay now that they are located in the upper floor of the barrel roofed extension which would not be possible if they were located in any other part of the house (see photo below looking at the Burren from the kitchen). 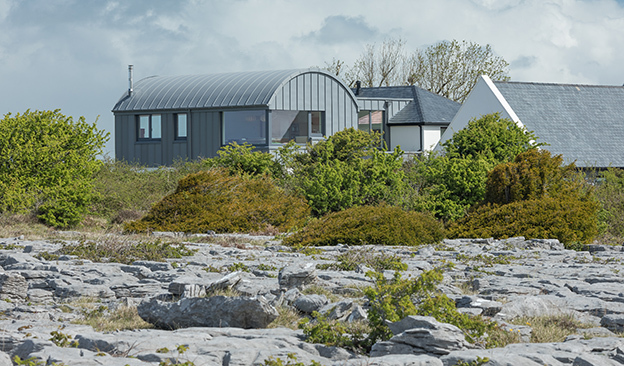 The upper part of the extension is clad in zinc, a material that is durable for this maritime location and one that fits in nicely with the greys of the Burren limestone. 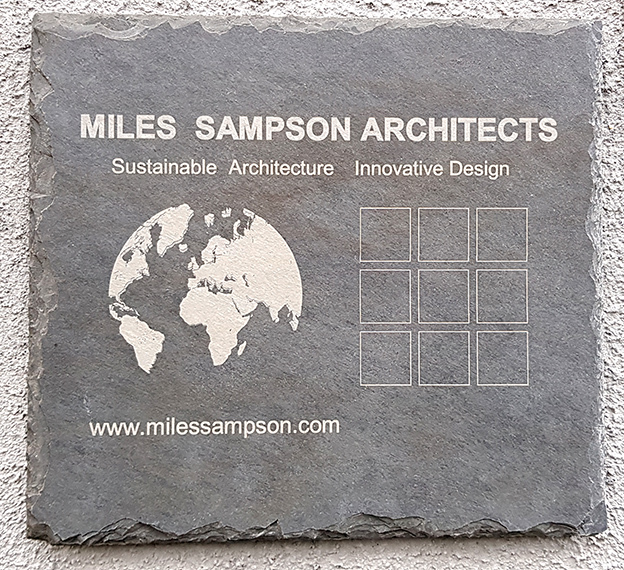 The extension has been built using super high levels of insulation and airtightness using eco solutions like timber frame and cellulose insulation. The existing cottage was upgraded with sheepwool insulation for use as a yoga space.